Denise is a internationally recognized model, influencer, and fitness expert who has been featuredin countless publications and websites. Aside from modeling around the world, Denise is an Entrepreneur, Certified Wellness Coach and NCSF Certified Personal Trainer. She has also competed and won in the NPC Bikini Fitness Competition. 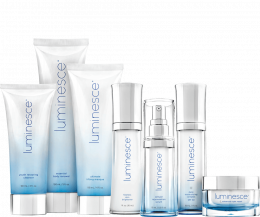 The luminesce™ anti-aging skin care line restores youthful vitality and radiance to your skin,. Zen Project 8 is a Full Body Transformation System with great protein shakes! For influencer opportunities or more information on how to join our team, fill out the form below.